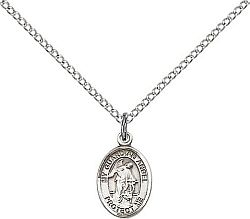 This small Guardian Angel medal is made from sterling silver and is available with or without a chain. These holy beings are patrons of Spanish police officers. This saint medal would be a perfect gift for First Communion, Confirmation, Birthdays, or any special occasion. 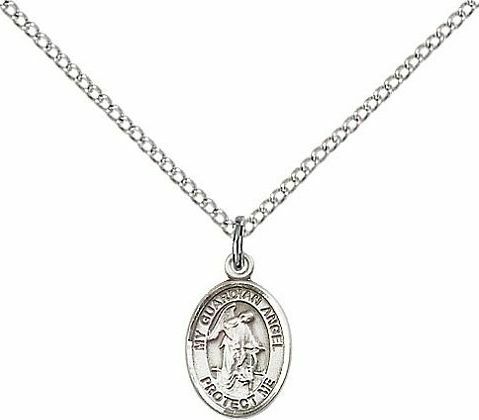 This Catholic jewelry can be purchased without a chain and used as a charm for a bracelet. Engraving available.